Let's Talk Online provides therapeutic support online and via telephone, with the aim of increasing accessibility to psychological therapy within the UK, Ireland and across the globe. Although online therapy has gained great momentum in the world of mental health, it is still quite a new concept for many. Providing therapy through a variety of online methods (see below) has excitingly been found in many studies to be equally as effective as traditional face-to-face therapy. This means that as therapists, counsellors and psychologists we can start working with people in a range of different formats, ensuring that we meet their individual needs, whilst continuing to provide them with an effective treatment experience. Would you rather get the help you need over the phone, feeling more relaxed and not having to worry about the Internet? Talk with ease from wherever you might be, without any extra stress that face to face therapy might bring up for you. Know that you can just pick up the phone with out worrying about the Internet, particularly if you struggle with or are not as confident with technology. Would you like to have face-to-face therapy but at a time and place that suits you? 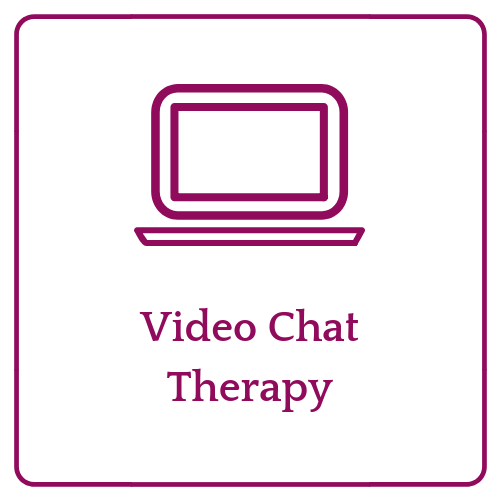 Video chat therapy may be for you. Get comfortable in your own home, with a cuppa and even in your PJ's, if you like. Access face-to-face therapy whilst on the road, from anywhere in the world. Using ZOOM a secure video conferencing platform, be assured that all communication is private and confidential. Many people choose to attend therapy online through the use of email. Perhaps this is something that you feel more work for you too? Using Hushmail a secure and encrypted email system, be assured that all communication is private and confidential. 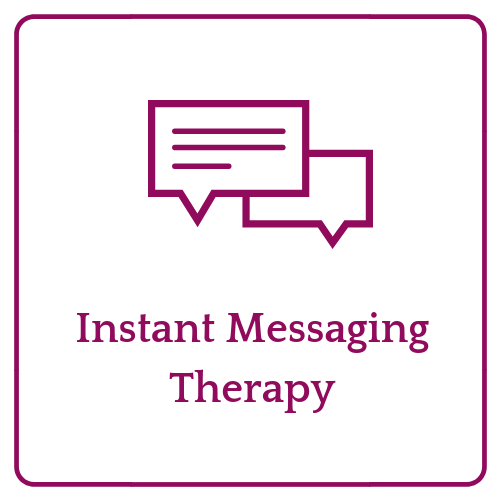 Would you like to discuss a problem or difficulty you are having with a clinical psychologist using real-time instant messaging? Communicate through text using instant messaging, identify your difficulties and explore ways to help you move forward with life. Benefit from having a record of your session to read back on and reflect upon. Using Vsee a secure instant messaging platform, be assured that all communication is private and confidential.